Until recently the cause was unknown except for a small group of patients who have Neurofibromatosis type 2 which is genetically determined. Recent research has discovered the following:- Neurofibromatosis type 2 (NF-2) is a dominantly inherited disease characterized by the formation of bilateral acoustic schwannomas and other benign tumours associated with the central nervous system. The NF-2 protein, also known as merlin or schwannomin is a tumour-suppressor protein whose loss or absence is clearly linked to the development of certain types of brain tumours, in particular, acoustic neuromas. The early symptoms are reduced hearing in one ear, ear noise (tinnitus) and poor balance. Large tumours may produce additional symptoms including headache, facial pain, numbness or twitching, double vision, speech difficulties, and swallowing problems. If you have any of the symptoms previously mentioned, request a referral from your local doctor to an Ear, Nose and Throat Specialist who will carry out the appropriate hearing and balance tests followed by either a C.A.T. Scan or preferably an M.R.I. 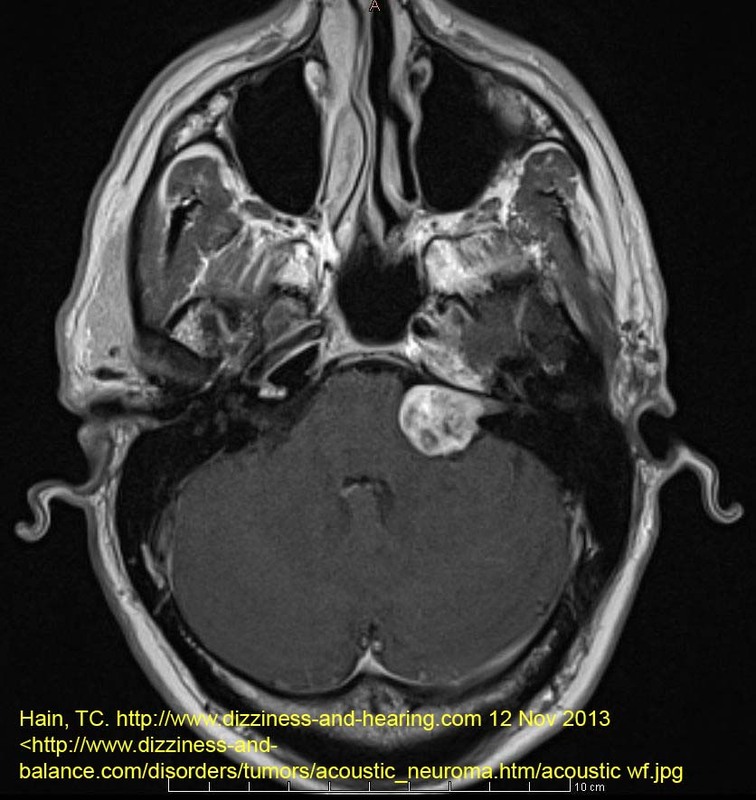 Scan that will show the presence or absence of the tumour. 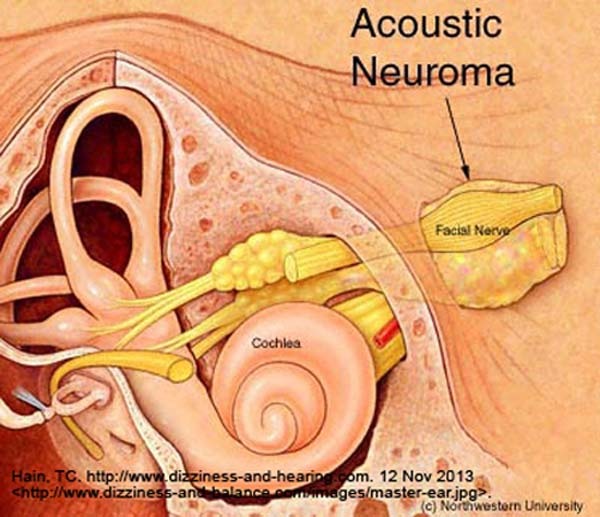 A diagnosis of Acoustic Neuroma should always be considered with unilateral (single side) ear symptoms. Acoustic Neuroma Association Australia Incorporated does not endorse or specifically recommend any particular product, physician, surgeon, specialist, or any surgical procedure or medical institution. All information on this website is contributed in good faith and it is important that a person consult their own doctor before making any medical decisions.